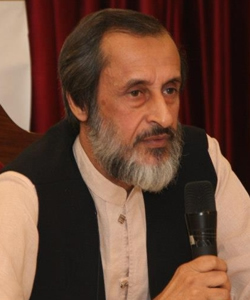 Muhammad Suheyl Umar is the director of the Iqbal Academy Pakistan, where he has worked since 1984. Umar specializes in Sufism and the intellectual history of the Indian subcontinent. He has also worked as academic director at the Institute of Islamic Culture, chief editor of Al-Ma‘arif, and visiting scholar to International Institute of Islamic Thought and Civilization in Kuala Lumpur, Malaysia. Umar earned his B.A. and M.A. at Government College (Lahore), M.Phil. at Allama Iqbal Open University, and Ph.D. at Punjab University in Lahore.